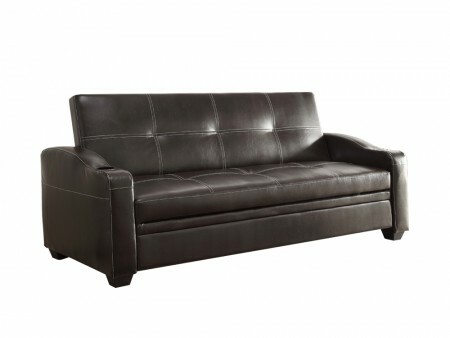 The Caf Sofa is a comfortable and masculine sofa with a rich leatherette brown finish. This converts in to a full bed with an easy open mechanism with a true mattress. 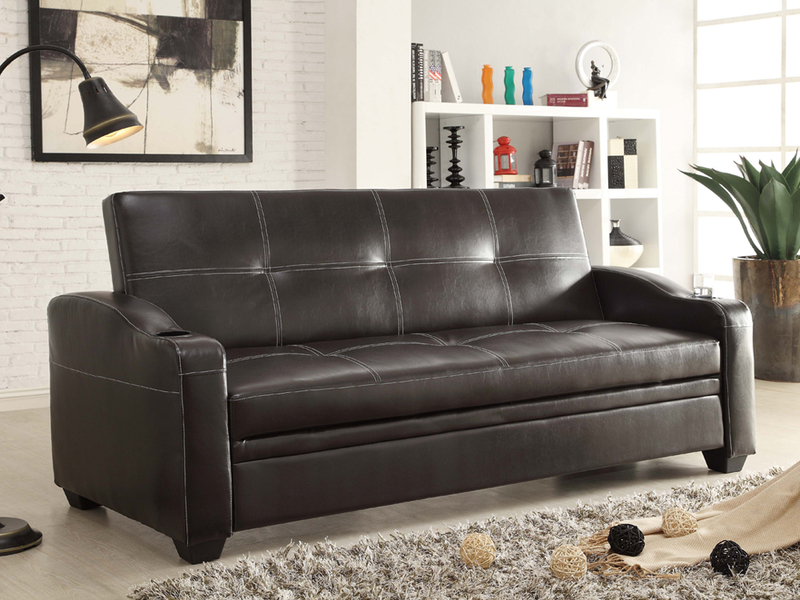 Stitching details on the pillows add to the look, match your favorite pillows or throws and enjoy watching a movie or a good read. 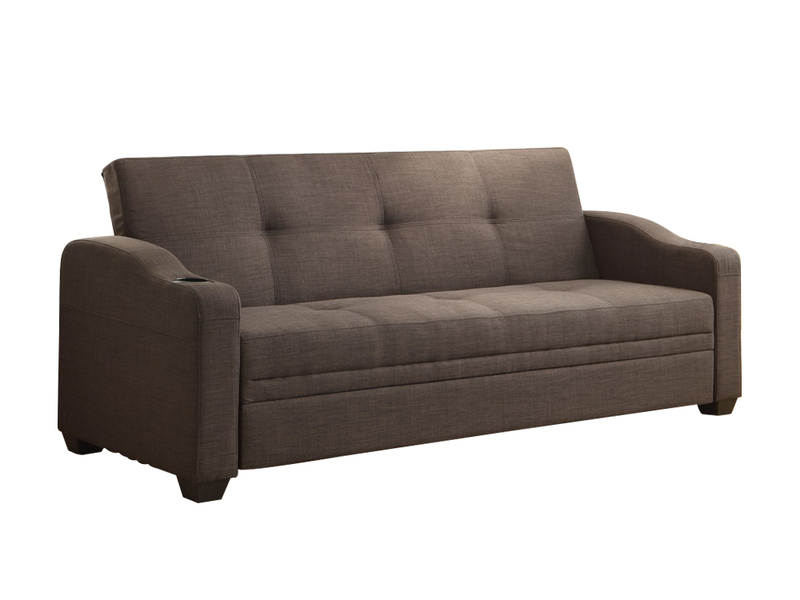 The Caf Sofa is ideal for your additional guest.